When dining outdoors, surrounded by good food, drinks and the ones you love, it's important to have the right seating options to ensure comfort for many hours and make the most of every occasion. 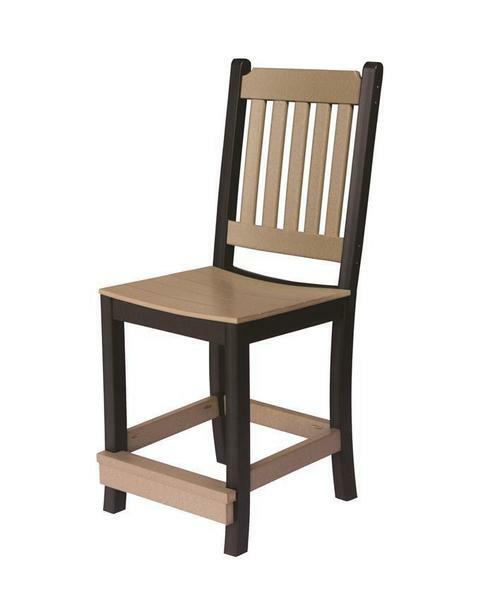 Our Amish Poly Mission Counter Chair will do just that while perfectly complementing your Garden Classic Pub Table. Don't forget to add the optional Sunbrella cushions and throw pillows to add additional comfort and styling to your beautiful outdoor oasis! Each chair is available in a variety of color options, along with the cushion and throw pillow options, to ensure a perfect complement to your decor! We also offer a Dining Height and Bar Height Chair to suit your needs.